BRISBANE corporate veteran Wayne Myers knew he was in criminal strife, and one of his first moves was to offer investigators to go undercover wearing a wire. 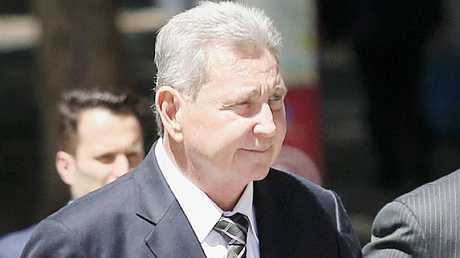 It was September 2017 and his accomplice in a $115,000 corruption deal, former Ipswich council chief executive officer Carl Wulff, had just sent Myers a text message suggesting they meet up for coffee. Myers was already aware that the Crime and Corruption Commission had been sniffing around dealings. He had gone to his lawyers and spoken with authorities. "It was proactively suggested by my client to the authorities that he might wear a wire, a listening device," Myers' barrister Jeffrey Hunter told Brisbane's District Court on Thursday. They also met roughly 10 days later at a pub in Eight Mile Plains, which Myers was also secretly recording for authorities. "A direct result of those two meetings was the obtaining incontrovertible evidence about Wulff's guilt," Mr Hunter said. 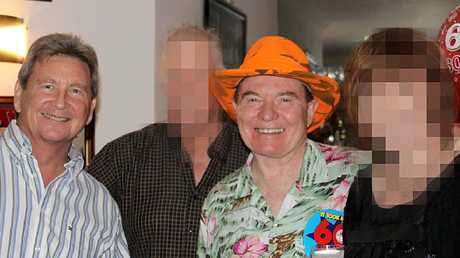 That was not the only of betrayal of a former friend - the men, introduced via former Ipswich mayor Paul Pisasale, had even celebrated Wulff's 60th birthday together. Prosecutor Sam Bain told court how Wulff had written out a version of events that they should all convey if investigators asked about a contracting deal. "Several times throughout the conversation, Mr Wulff reiterated that they should stick to their story - that it was a legitimate consultancy arrangement - that if they get their story right then the CCC won't be able to crack it," Mr Bain said. "In relation to the note, Mr Wulff told Mr Myers to take that with him but destroy it ... he didn't want them to know it was his handwriting. He couldn't afford to go to jail. "Not only did he record the conversation but he then subsequently handed the note to police."